1. 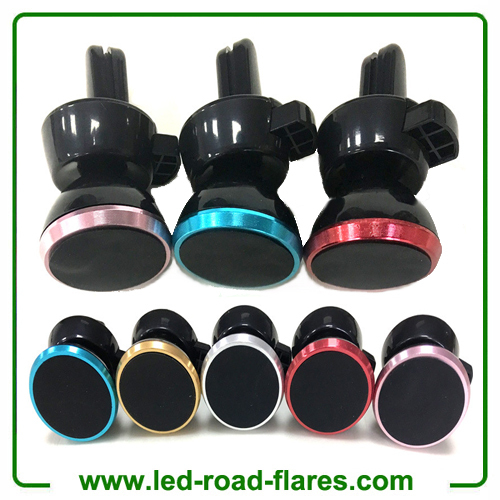 Lightweight, compact and portable.Portable car air vent mount hold your device on different air vent. 2. 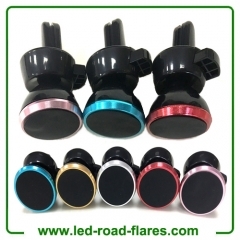 Powerful magnetic mount is suitable for all cellphones and GPS devices. Does not limit the view and it keeps your cell phone in a perfect position for a handfree phone conversation. In addition, it is easy to install and remove. 3. 360°rotatable, very convenient for differenr angle need. 4. Magnetic design contact mobile phone without scratching. 5. It is easy to use and operated by single hand to ensure your safety during driving. 4. With two different sheet of iron, meet your different demand. 5. Rubber grip on magnetic surface offers extra protection and soft silicone give good handing feeling. 8. Usage: Stick the metal plate on the phone back and then you can use the magnetic holder any time. Get rid of site constraints,strong paste, instrument desk in the car and tea table in the living room are usable, unimaginable conventient. Strong magnetic force adsorb your mobile phone stable.It will not fall off in turbulence or shock. 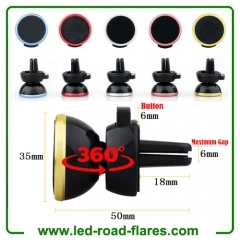 Universel swivel design, 360°fiexible rotation comfortable viewing angle. Setting your phone on a mount in your car has never been easier! This Car Phone Holder saves you the hassle of placing your smartphone securely to make sure it doesn't fall just push it in the air vent! The Air Vent Mount features a magnetic technology, which means your smartphone will be secure and have no chance of falling. When a phone is secure in place, it becomes easier to use for GPS navigation too. 1) This magnetic car phone mount for cell phones is not bulky or space consuming at all. You no longer have to suffice for keeping your phone in the cup holder or dashboard, because a normal car mount gets in the way. This magnetic car mount inserts into the Air Vent, thereby not blocking your windshield. 2) GPS Navigation is extremely easy with this magnetic car phone mount . It can easily rotate, fix, or tilt to any angle that best assists the viewer of the phone. 3)360 Degrees Rotatable: With full 360 degree rotation and ability to put the phone in landscape mode, you can easily see anything, and access your phone from anywhere in the front seat with this car mount for your phone. 4)Universal Compatibility: compatible with all kinds of different smartphones, suit for and firmly and safely mounts cell phons, GPS units, satellite radios, MP3 player and other devices.